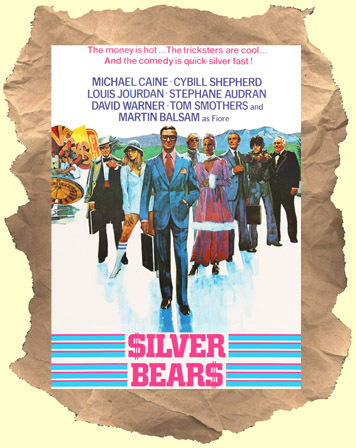 SYNOPSIS: Michael Caine heads up an all-star cast in this forgotten crime comedy. The plot to this one is pretty convoluted with money men, the mob, silver mines, foreign investors etc all trying to outsmart one another. Caine plays a mob man in charge of laundering money. This leads him to Switzerland and Louis Jourdan. Pretty soon a secret silver mine is introduced. This takes Caine to new associates and further schemes and swindles as one piles onto the next. Thrown in a little sexual tension with Cybill Shepard and you have a classic 70's popcorn crowdpleaser. WIDESCREEN.